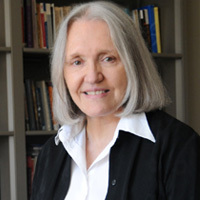 Saskia Sassen is the Robert S. Lynd Professor of Sociology, and Chairs the Committee on Global Thought, Columbia University. She is a student of cities, immigration, and states in the world economy, with inequality, gendering and digitization three key variables running though her work. Born in the Netherlands, she grew up in Argentina and Italy, studied in France, was raised in five languages, and began her professional life in the United States. She is the author of eight books and the editor or co-editor of three books. Together, her authored books are translated in over twenty languages. She has received many awards and honors, among them multiple doctor honoris causa, the 2013 Principe de Asturias Prize in the Social Sciences, election to the Royal Academy of the Sciences of the Netherlands, and made a Chevalier de l'Ordre des Arts et Lettres by the French government. In each of the three major completed projects that comprise her 20 years of research, Sassen starts with a thesis that posits the unexpected and the counterintuitive in order to cut through established “truths.” These projects engendered her three major books.